Perhaps pressured by Cynthia Nixon’s primary challenge, the guv did the right thing. Florida may follow, with a ballot initiative this fall. Earlier this week, two e-mails were sent out by groups that monitor disenfranchisement numbers. One explained how more than 6 million US citizens cannot vote because they are either in prison or jail, on parole or probation, or live in one of the states—mainly in the Old South—that pretty much permanently disenfranchise anyone ever convicted of a felony. 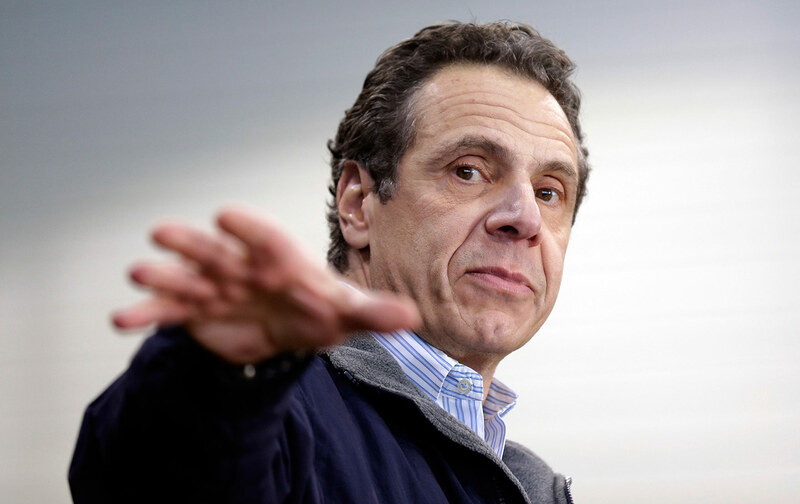 The second e-mail detailed how New York’s governor, Andrew Cuomo, was using his executive powers to re-enfranchise 35,000 parolees in the state, 71 percent of whom are people of color. The two e-mails, taken as a whole, are a snapshot of where the disenfranchisement debate stands nationally: In an era in which huge political struggles around the franchise are being waged on terrain that includes gerrymandering, limiting the opening hours of polling stations, imposing discriminatory voter-ID requirements, the creation of “voter purge” lists, and so on, vast numbers of Americans have essentially been pushed outside the institutions of democracy. Nowhere is this more evident than in the overlap of a mass-incarceration system that has swept up millions of poor people, and disproportionate numbers of black and brown people, with felon-disenfranchisement laws. In states like Florida—where a staggering 1.5 million people are denied the vote, and where a ballot initiative this November could, at a stroke, re-enfranchise the great majority of these men and women—Mississippi, and Alabama, upwards of one-quarter of African-American men are permanently disenfranchised. The laws that keep them in this subservient state are leftovers from the Jim Crow days; their continuance, largely at the insistence of GOP lawmakers and governors, a shameful stain on the country’s democratic culture. Re-enfranchisement ought to be a nonpartisan, common-sense, and common-decency issue. Unfortunately, it’s not. In states like Iowa, Virginia, and Kentucky, where Democratic governors have sped up the re-enfranchisement process, GOP legislators or incoming Republican governors have reversed their course. 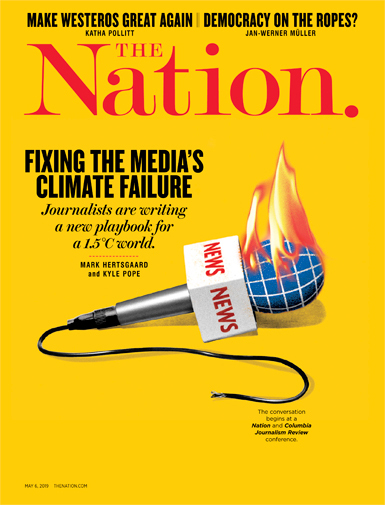 In Florida, which has long been ground zero of the franchise wars, the GOP is ranged firmly against the vote-restoration initiative, and Governor Rick Scott is appealing a recent court ruling which found that his state’s methods of maintaining disenfranchisement—through only very selectively restoring the franchise, via personal request to the governor—are arbitrary and unconstitutional. New York is now the latest front in this battle for basic voting rights. For years progressive Democrats in Albany have pushed to restore the franchise to parolees, and, just as regularly, the GOP, which controls the State Senate, has, along with a bloc of conservative Democrats, nixed the idea. Last week, Cuomo, perhaps under pressure from Cynthia Nixon’s primary challenge from his left flank, decided to go it alone. On April 18, the governor signed Executive Order 181, issuing conditional pardons to the state’s parolees, effective immediately. The pardons will not erase their criminal conviction or their other conditions of parole—but they will restore the right to vote. At a stroke, more than 35,000 parolees living in New York have now become eligible to cast ballots. Cuomo also declared his intention to continue to conditionally pardon new parolees as and when they enter the system. Cuomo’s action is by no means the perfect fix, since the next governor could simply stop issuing pardons, and GOP leaders have already cried foul, pouncing on the notion of “executive overreach.” Ideally, voting rights should be expanded legislatively—as occurred in Maryland in early 2016, when legislators overrode a gubernatorial veto and restored voting rights to tens of thousands of parolees and probationers—or, in states with the initiative process, via citizen referenda. And such expansions ought to be supported by both major political parties. After all, there’s nothing more fundamental to full citizenship than being able to participate in the political process. Absent bipartisanship on this issue, however, Cuomo’s action is a necessary, corrective step. It shouldn’t matter how these parolees vote. Yes, based on demographic knowledge of the electorate, it is fair to say that many of them will end up voting Democratic. But even if they all turned around and voted against Cuomo and the party he is a member of, one would hope that he would still stand by his re-enfranchisement action. The franchise is too important to be about party politics. It’s a scandal that so much effort is currently spent keeping people either formally disenfranchised or, via gerrymandering, effectively voiceless, their participation in elections little more than a charade, at best. To those 35,000 men and women re-enfranchised by Cuomo’s executive action, we say: Vote. Vote your secret ballots. Vote for whichever individuals and political parties you feel best represent your interests. Vote proudly and participate freely. Vote because there is nothing in our political system more precious—or more fragile—than the franchise. Vote because it is your right. And vote because you are part of the wondrous tapestry of democracy, of humanity, that holds this vast and complex country together.